Will Alternative Business Structures in U.K. Law Firms Cross the Pond? David Beech, CEO of Knights discusses his professional services firm with a successful alternative business structure (ABS) in the U.K. While 600 alternative business structure (ABS) licenses have been granted in the U.K., American law firms hesitate to pick up the strategy. In this episode of The Digital Edge, hosts Sharon Nelson and Jim Calloway talk to David Beech, CEO of Knights, a professional services firm with a successful ABS. In his discussion he expands on common fears associated with ABS, how community makes ABS thrive, and why ignoring ABS is a mistake. He finishes the interview by touching on his own business, which started out as a law firm, and what makes it a successful ABS. David Beech is the CEO of the professional services firm Knights in the U.K. David has led the business, originally a law firm, since 2011. His vision for Knights is to become the leading regional professional services business in the U.K.
Special thanks to our sponsors, ServeNow, Scorpion, and Answer1. 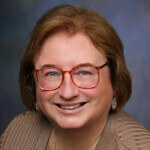 Sharon Nelson: Welcome to the 109th edition of The Digital Edge: Lawyers and Technology. We are glad to have you with us. I am Sharon Nelson, President of Sensei Enterprises. Jim Calloway: And I am Jim Calloway, Director of the Oklahoma Bar Association’s Management Assistance Program. Today our topic is How Alternative Business Structures are working in a UK law firm and will they cross the pond? Sharon Nelson: Before we get started we would like to thank our sponsors. Thank you to Answer1, a leading virtual receptionist and answering services provider for lawyers. You can find out more about them by giving them a call at 800-answer1, or online at HYPERLINK “http://www.answer1.com” www.answer1.com. Thanks to our sponsor, Scorpion, which delivers award-winning law firm web design and online marketing programs to get you more cases. Scorpion has helped thousands of law firms, just like yours, attract new cases and grow their practices. For more information, visit HYPERLINK “http://www.scorpionlegal.com/podcast” scorpionlegal.com/podcast. Thanks to Serve-Now, a nationwide network of trusted prescreened process servers. Work with the most professional process servers who have experience with high volume serves, embrace technology and understand the litigation process. Visit HYPERLINK “http://www.ServeNow.com” ServeNow.com to learn more. Jim Calloway: We are very pleased to have as our guest today David Beech, CEO of the professional service firm Knights in the UK. David has led the business originally a law firm since 2011. His vision for Knights is to become the leading regional professional services business in the UK. David qualified as a corporate lawyer in 1990 and then the late 90s turned a law firm management until 2004 when he left the law to raise and manage a private equity fund. He has brought these skills together by leading Knights to become the first commercial law firm to raise external private equity investment in 2012 and to become today the fastest growing commercial firm in the UK. Thanks for joining us today, David. David Beech: Pleasure, and thank you for inviting me along to talk to about ABS in the UK. It’s good to talk to Jim and Sharon. Sharon Nelson: Well, David, I know some of our listeners won’t have a lot of familiarity with Alternative Business Structures or ABS as that term applies to law firms. Can you help understand what an ABS looks like perhaps using Knights as an example? David Beech: Sure, well, since the rules came along in January 2012 allowing law firms to convert to an ABS, there has been around 600 ABS licenses granted in the UK, and the vast majority of those ABS law firms have not changed at all and they are locked in that field and that shape. This perhaps been the odd finance director or operations director join the ownership and management of those law firms, but there hasn’t been substantial change. But in circuit 25-30 of those 600 licenses there has been quite dramatic change. In the fundamental change, in those 25 to 30 ABS law firms has been external investment and a new ownership structure whereby investors have come into the law firm to acquire an interest, normal substantial interest, and then substantially influenced the manner in which the law firm is operated, is managed and taken forward. So there hasn’t been as bigger changes perhaps people may think and there hasn’t been that many firms that have changed, and I think the progress has been slower than people thought in 2012, but for those that have embraced the ownership change which ABS allows and it allows external non-lawyer investors to come in and own and manage law firms then in those firms there’s been dramatic change. Jim Calloway: David, you were a practicing lawyer yourself, what motivated you to move to the entrepreneurial side of things? David Beech: I was practicing corporate law as you said for around 16 years and then had the opportunity and wanted to do something different and get into investing in firms. In my latter part, in my 16-year legal career I had become more interested in business than actually advising the clients, I wanted to be involved in business, and that got me into private equity in 2004, and then that experience of investing in various different companies led me into 2009 to really get interested in could I bring that type of business experience into the legal sector, which was at that time and still today, is very much owned and led by the people that are in the business working as lawyers in the business. And I wanted to bring a whole new sort of business acumen and approach to law rather than it be run by the professionals, and that’s what I wanted to do and was able to do, and finally in June 12 when the new ABS rules came into force. Sharon Nelson: Well, I should mention to the audience that I am very grateful to David who agreed to speak to the Virginia State Bar’s Committee on the future of the practice of law and so I’ve had the pleasure of speaking with him before and you were absolutely marvelous to do that for us, and one of the things we talked about that day, as you’ll recall, is how the American legal industry has remained stubbornly opposed to ABS in any form, so I’m going to repeat a question I asked you when you spoke to the Committee, why do you think American lawyers are so opposed to ABS? David Beech: I think it’s sort of a defensive reaction and a defensive strategy to not change may be feeling under sort of threat of that change, and one can understand that. If it allows more competition there will be many people afraid of that and feeling threatened by it. So I can see exactly why any legal group and in any country would perhaps be feeling threatened and want to be defensive to any change which allows more competition. I think I can go on with that to say that it’s not just a threat, it’s an opportunity, and I think to be able to attract investors and be able to legally apply a structure which encourages and allows external investment into any business and certainly into any law firm is a good thing too, and it’s embraced and used in the right way with the right people involved and there’s many opportunities to use that change of environment ABS has brought to the UK in a very positive way. It’s not just a threat it’s a significant opportunity. But I think it’s considered by, I would imagine, it’s considered by the legal fraternity in the US to be a threat and only about thing, but I would challenge that to say and we’re showing it in our business that it can be an extremely positive thing. Jim Calloway: One of the objections to ABS that we often hear on our side of the pond is the fear that the increased search for profits for investors may cause less than strict adherence to the legal ethics rules. How would you answer that question? David Beech: Don’t laugh if that’s rubbish. I think there is no way when investors are putting money into a business, they are not going to construct an important compliance, ethics. I think that when you have an owner and an ownership structure I think law firm partnerships lack ownership influence because a lot of partners certainly in larger partnerships, there is a both sort of say three, four, five partners when you have larger partnerships I think it’s hard to feel if anybody owns the business because everybody’s in the business sort of their income and sharing profits and competing with each other for those profits. I think when you have a normal outside of law ownership structure where people have put the money in rather than taking it out then there’s a strong focus on anything that’s important about business to support the investment, and that includes compliance and ethics and 09:08 the clients properly. So I would actually challenge that as being wrong and I think there is more focus on the correct things when somebody owns a business and has invested in it. It isn’t as people are sort of saying, I think that’s part of the defensive strategy again to try and fight away the prospect of external investment because it’s considered to be a threat. Sharon Nelson: Well, when they become an ABS, is there a friction when a group of lawyers who are used to running their own business now find themselves as employees with an outside management team in place? I would assume, David, that the answer is, yes, and if so, how does one address that friction and how did you address that friction? David Beech: The answer is a category, yes, I don’t assess that this change from an equity partnership structure to a corporate structure where there’s an external investor and management team responsible to the shareholders as well as to the people and the clients is an easy transformation route, it’s not. The way we plan about that is to – well, when we first did this in June 12 it required quite a bit of time to talk to an initial group of seven partners; in fact, when I first tabled an investment proposal we got a 5/2 vote against. It was only after another few weeks of facilitated discussion; by facilitating, I mean, the group of 700 facilitators that they then saw eventually the sort of opportunity and voted unanimously in favor. We then since done two other acquisitions to add to the initial one and it’s challenging to win the hearts and minds of lots of people, but especially of the former equity partners. I think one important way you do that is you engage with them a lot at the beginning and you stay engaged with them and it takes time. It takes a few months, if not a year or more for the people to become comfortable and to trust structure whereby they are employed in a business and the thinking is for the business rather than any one or the loudest individual. It’s all about the business and it takes a bit of time to get used to that focus on the business rather than on the individual. But it’s possible, but it’s not easy, and I think that’s possibly one of the biggest reasons why the adoption of external investment and the switch to ABS is taking time and isn’t happening quickly. I don’t think this is necessarily an easy thing to achieve, but if you can achieve it, then I think the opportunities and the results for a lot of people including those former equity partners can be hugely significant. Jim Calloway: A concern of lawyers might be the worry that ABS will mean that they make less money, what has been the financial impact on the partners and other lawyers in Knights? David Beech: In the main most people have made the same or more. In the minority some have made less because what a corporate ABS structure allows is a very strong meritocracy and you’re allowed to quite quickly start to embrace meritocracy and reward people for their contribution fairly and properly, and that means the former equity partner is not contributing sufficiently to match what they were previously in merit, then in my humble view a sensible business and well-managed business is to reward people fairly which means the minority in our history for the last four years, the minority of how to reduce reduction in earnings but the majority have the same or more. And I would say around 25% of the 12:57 we have actually dealt with has more implications substantially more because you’re able to then match earnings to contribution much more easily in a corporate structure than you are in an equity partnership. Jim Calloway: David, this is all very interesting but before we move on to our next segment, let’s take a quick commercial break. Sharon Nelson: Is your firm experiencing missed calls, empty voicemail boxes and potential clients you’ll never hear from again? Enter Answer 1 Virtual Receptionists. They are more than just an answering service. Answer1 is available 24×7. They can even schedule appointments, respond to emails, integrate with Clio, and much more. Answer1 helps make sure your clients have the experience they deserve. Give them a call at 1-800-answer1 or visit them at HYPERLINK “http://www.answer1.com/podcast” answer1.com/podcast for a special offer. Jim Calloway: Looking for a process server you can trust? HYPERLINK “http://www.Serve-Now.com” Serve-Now.com is a nationwide network of local, prescreened process servers. ServeNow works with the most professional process servers in the country. Connect your firm with process servers to embrace technology, have experience with high volume serves and understand the litigation process and the rules of properly effectuating service. Find a prescreened process server today. Visit HYPERLINK “http://www.Serve-Now.com” Serve-Now.com. Sharon Nelson: Not getting enough cases from the Internet, the kind of cases you want, Scorpion can help. Over the last 15 years, Scorpion has helped thousands of law firms, just like yours, attract new cases and grow their practices. During this time, Scorpion has won over a 100 awards for its law firm website design and online marketing success. Join the thousands of law firms which partner with Scorpion and start getting more cases today. For more information, visit HYPERLINK “http://www.scorpionlegal.com/podcast” scorpionlegal.com/podcast. 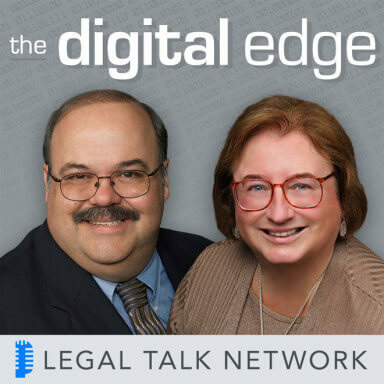 Welcome back to ‘The Digital Edge’ on the Legal Talk Network. Today, our subject is How Alternative Business Structures are working in a UK law firm, will they cross the pond? We are very pleased to have as our guest David Beech, CEO of the Professional Services Firm Knights in the UK. David has led the business originally a law firm since 2011. David, when a professional management team comes into a law firm, is it actually a better thing business-wise for the lawyers insofar as they no longer have to run a business which is usually not their core skill-set? David Beech: I would say this has been a category, yes, for the lawyers and the partners. They have been released from a load of boring meetings, they are no longer needing to sit in rooms to debate lots of filing irrelevant and boring details. They are able to focus on what they originally entered the law to do and not to work with clients, advising clients and supporting their clients. And the response we’ve had from all of our former equity partners has been how much they’ve enjoyed being released from those boring meetings, talking about loads of administrative things which they didn’t feel are important or needed them to be in the room and be released to really dedicate themselves to supporting their clients which they’ve enjoyed doing and the clients have responded similarly. The clients have enjoyed that access to their partner, advisors that they want, they want the access and they want the speed of response and this type of structure has enabled more of that to happen and the reaction from both the partners and the clients has been hugely positive. Jim Calloway: I am reminded when you talk about boring meetings, how many lawyers have said to me, I just want to practice law and yet here’s a solution that many lawyers seem to be rejecting. Although you can’t just practice law, tell us about the IT training and marketing training that you require for your lawyers and why that makes your firm more competitive? David Beech: One of the things we started doing very quickly in June 12, and it took us a year to actually bring in within a brand-new IT system, and we wanted to then start to train the lawyers in 2013, all the partners, the associates and the paralegals to actually use technology rather than look at it. I think in the legal profession still in the UK you see lawyers looking at technology and then dictating and getting other people to do things, like secretaries. What we wanted to do and we’ve done it now for the last three years is to use technology rather than look at it. So we no longer have secretaries. In our business we’ve now grown from 60 lawyers to 400 and all of those 400 lawyers, partners, associates and paralegals use technology rather than look at it. So we don’t have any secretaries in the business and then most law firms in the UK tend to see about two-and-a-half solicitors or CNS for every secretary. We have 400 and no secretaries. Because they use the technology and they can do things faster themselves and not actually dictating to someone else to do it. For example, a partner or any of our CNS can actually prepare and send an invoice to a client in less than 3 minutes and I defy any system where you have to dictate a bill to do that faster. And it’s the technology but it’s much more the culture of embracing and using technology that’s made the big difference, not the actual systems. You need good systems, you need a fantastic IT tool, but it’s how you use the tool that’s the really important thing and we coach, we talk, we encourage all the people and they’re coming in to spend their first few weeks, learning how to use the system, but really learning how to change their approach to IT to actually use it rather than actually dictate, and that’s been the big change. On the BD marketing we do a lot of client engagement coaching, and I think it’s interesting in law that there is a lot of technical training and then that’s followed through people’s careers where that technical training carries on and on, but there’s very little or no client engagement training. And actually how you engage with your clients, how you set up all the transactions and all the instructions with the clients, how you talk to the clients, how you listen to the client, we teach how to listen to the clients, how to ask questions with the clients and it leaves a very important client engagement skills that we’ve also coached. So those are the two areas of IT training to people to do things for themselves rather than ask others and then the engagement training with clients has been the two big things we’ve introduced to the business of professional services. Sharon Nelson: Well, you realize, David, you’re not going to win any popularity contest with American Legal Secretaries. David Beech: I do realize that and the same applies to the UK as the US. Sharon Nelson: I could well imagine it. I will tell you, every time I talk about ABS to American lawyers they cite the failure of the Australian firm Slater and Gordon as a black mark against ABS itself. Why do you think that firm failed and did it have anything at all to do with being an alternative business structure in your judgment? David Beech: Yeah. It’s interesting that — so probably another restraining factor on ABS in this country, in the UK, because some of the early entrants of ABS have been disasters and certainly Slater and Gordon have been one of those. I think their ultimate failure in recent time, in the last 12 months has been their acquisition that they did, which was a huge acquisition, and it was absolutely the fact that they were an ABS and a listed entity that allowed them to pursue and complete that acquisition, because they could raise the financing on the stock exchange. Where they are not an ABS and where they are not listed, they wouldn’t have been able to raise the finances to do what was in the end a terrible transaction for them. So it was the fact that they are an ABS, it was the fact they were listed that they could then raise the funding to buy a business call Quindell, and that was also a disaster. They shouldn’t have bought that business. And I think were it not for them acquiring, for Slater and Gordon acquiring Quindell, then they would still, I think, be considered to be flourishing and moving forward in a sensible direction, but they made a huge mistake to buy a business for a lot of money, and it’s simply was not worth what they paid for it, and that has cause them a huge problem. I think were it not for that, I think then things might have been different for Slater and Gordon. So they made a mistake, but it was a massive mistake. Jim Calloway: David, we know that you believe one of the keys to success in an ABS is creating the right culture. Can you explain what that means, how you have worked on that, and how long it takes before the lawyers, who we have noted were formerly equity partners and are now salaried employees, deal with the new culture? David Beech: Okay. First of all, I think the structure of having a corporate structure with an investment, an investor and a management team allows you to develop one culture. I think equity partnerships have lots of cultures, because there is lots of people who believe that they are owners and can influence. So the more partners, the more cultures, and you can’t have a cohesive, single culture, I don’t believe, in a medium or large equity partnership. So you are off to a flying start in the type of ABS structure we have embraced, because we have the opportunity to develop one culture; it doesn’t necessarily mean we will, but it means we have the opportunity to. So what we have done in the last four years at Knights is, without reading textbooks, and none of this is just through experience I am talking, we have really sort of thought about culture, and culture in my view is defined by the behaviors in the business. It’s not something that’s written on a website or written on walls; it’s actually, you can feel it as an intangible thing, but you can feel it by the behaviors in the business. So we have talked a lot about the behaviors that we started with and then the behaviors that we wanted to encourage and nurture, and we work on this every single day. And we wanted to create a team culture where the work is shared between partners, associates, and paralegals, so that we can deliver value for money to the client, because there’s a lot of processing now in legal services and it’s important to deliver value for money, but that processing is done in a cost-effective manner, with lots of paralegals brought into the business. So we have introduced 140 paralegals in the last four years, and we have then integrated the paralegals with the associates and partners, and because it’s a team business model, we have needed a team culture, whereby every single client of the business is shared and all the jobs are shared, always between those three groups of partners, associates, and paralegals. So the way in which we sit with each other and open plan, the way that we position everybody is always to mix up partners, associates, and paralegals. Nobody has big desks and big offices. Everybody sits together, works together in an integrated fashion. We talk a lot about the culture. We ask people how they are feeling about the culture, and we measure sensibly for that culture, so you cannot measure fees 24:35 in a team environment, because the job is always being shared. So it’s things like the way we operate open plan, the way that we measure financial performance, the way we talk to each other, having a flat structure in our thinking and not a hierarchy. And also managing people out when they don’t want to be in that structure, when they want to be hierarchical, or they want to be an ego, and they want it to be about themselves individually much more than the business, then occasionally we have had to manage the people out that we didn’t think could come in and be part of the team culture. It’s all those things. There is many factors which I think we have embraced to nurture team culture, but not team culture because it sounds nice and it’s a fluffy answer, team culture because we are serious about being a team business model to deliver value for money to the clients. Sharon Nelson: Well, it certainly doesn’t sound like a description of an American law firm, at least not today. So cut to the bottom line here David, what’s your prediction, will ABS come over to our side of the pond? David Beech: I have been really looking forward to answering that question. I think it will happen anyway, with or without the legal factor, because I think clients and other investors will find a way to compete with professional services, be it law or accountancy or any other professional services, but I think investors and clients will find a way to compete with lawyers in America with or without ABS. So I think to ignore it is a dangerous strategy, because I think competitiveness will come into the processing and expertise of law in the US with or without the legal sector embracing change. The change will happen in other words driven by client more than anything else, more than statute, more than deregulation, it will be driven by clients. I think the client is driving the change in the UK, including ABS, much more than the actual governmental or the law society. So it’s going to happen, change is going to happen, it’s going to be driven by the clients. I think not to embrace it is to miss an opportunity. I think also there’s a risk to not embrace the opportunity to embrace change and to be part of the change rather than ignore it, because it’s then going to be finding a way of being deregulated, and I think it’s a much safer and better environment if the legal fraternity in the US can be part of embracing the change to actually make sure it stays within a regulated environment and it’s done in accordance with professional ethics and guidelines that many of us would support. So I think not to embrace it is a missed opportunity, and I think also dangerous, because I think a lot of the change that comes with modernization of professional services is going to happen, it’s going to be fueled by IT, but it’s going to be driven by the clients, and I think therefore it’s a missed opportunity if the US lawyers don’t think about how they can maximize that sort of opportunity and sort of get with the program of change really. Sharon Nelson: Well, it’s a true pleasure to have spoken with you today David, and Jim and I both want to thank you. I think we probably agree that lawyers ignore ABS at their own peril, and as you say, miss an opportunity. It really was very useful to hear from someone who has taken a law firm into becoming a professional services organization and made that work. And I think that the story that you tell is a story that American lawyers don’t really know very much about, they have the fear, but not the knowledge, and you have told them a story of how a successful ABS works, and I think that may be very useful to them. And of course you have told them in a very colorful, witty, and occasionally blunt way. So we thank you very much for joining us today. It really was a pleasure. David Beech: No, it has been a total pleasure talking to you, and I hope your audience got something out of this. And if anytime any of them want to come and cross the pond and talk to me in person, they are most welcome. Sharon Nelson: Well, that sounds like an opportunity that somebody might take you up on, including me. And that does it for this edition of The Digital Edge: Lawyers and Technology. And remember, you can subscribe to all of the editions of this podcast at HYPERLINK “http://www.legaltalknetwork.com” legaltalknetwork.com or on iTunes. And if you enjoyed our podcast, please rate us on iTunes. Sharon Nelson: Happy trails, cowboy.